Like many kids living in the flats from a large Catholic family, we couldn’t afford regular music lessons. Boy, did I bug my mom to take piano lessons. She finally relented and I started taking music lessons once a week. Yippee! 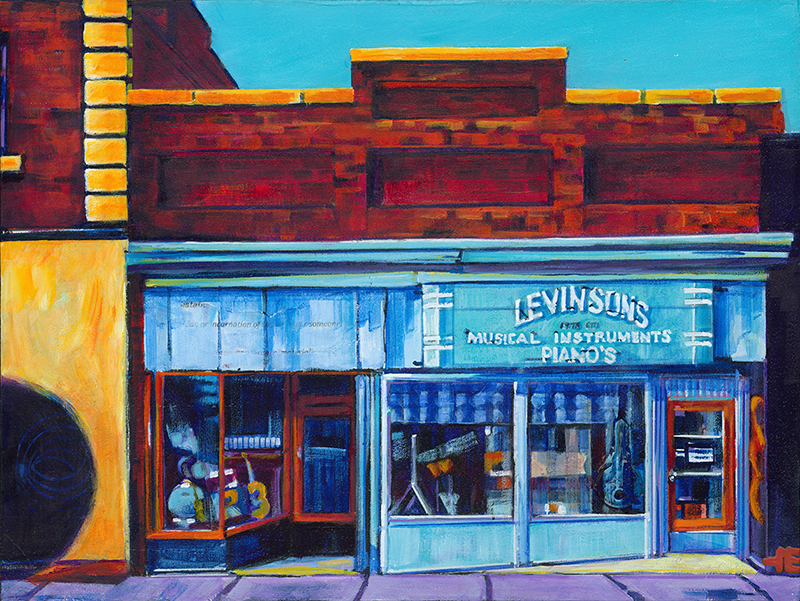 Levinson’s was the place to go for music books, instruments and song sheets. The shopkeeper was very helpful to anyone showing an ounce of interest in playing an instrument. I would run my hand over the stack of music books looking for a special piece I could tackle. You see, we didn’t have a piano. My mother had arranged for me to practice at Christ the King parish six blocks away on evenings and on Saturdays when there was no mass. For a kid in Grade 7, I was determined to be the best musician around, so I could play for the church choir. Or so I thought. Winter set in and the walks to the church to keep up my rigorous music scales and weekly songs become fewer and fewer. When I look back, I realize how selfish I was in thinking my mom could spare the $7 a week to pay the teacher. I’m regularly reminded of her kindness when I send my own kids to piano lessons. I realize that you actually had to practice and that music was a skill that didn’t pour out of you just because you wanted to do it.